July is being dedicated to sunglasses here at Eyedolatry, so prepare yourself for a lot of fashion-inspired posts this month. From now until late August, millions of Americans will be trekking to the coast or the community pool to enjoy the fantastic weather. A must-have for your summer adventures? Sunglasses. Even if you are just walking around at the Farmer's Market, or bustling around town in and out of doors, sunglasses are protecting your eyes not just from annoying glare, but the harmful UV light that leads to conditions like Macular Degneration and advanced or early onset cataracts (see this post). I am going to be featuring local Carolina fashion and lifestyle bloggers this month on what they look for in sunglasses, and their favorite way to style their glasses for Summer 2013. 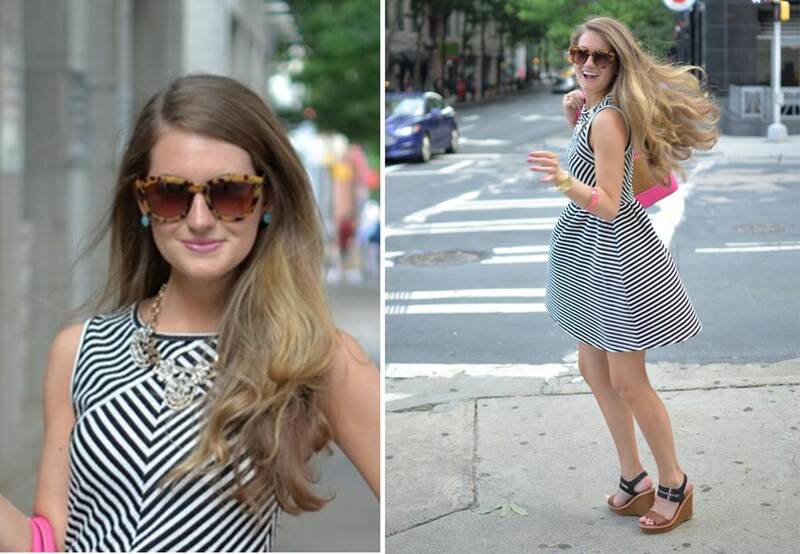 Up first is Caitlin, a blogger out of Charlotte, North Carolina. Her blog Southern Curls and Pearls is an homage to her personal style and Carolina roots. Her featured glasses for the summer are a classic tortoise shell look that are 100% UV blocking that she was able to snag on sale at her local Anthropologie. "I want sunglasses that protect my eyes but are chic at the same time, and these are definitely it. The tortoise look is really "in" at the moment, so I knew I couldn't pass these up. They are also similar to a Karen Walker pair I've had my eyes on, but without the expensive price tag! " The Karen Walkers she refers to have been sported by celebrities like Gwen Stefani, but come with a $348 price tag. Looking for designer shades but a chance to try them on and get great local service? Remember, you can also find designer sunglasses at your local high end optical providers that are 100% UVA and UVB blocking with the quality of frames that will last for years and years, and often this time of year they will be running sunglass promotions to help you save by protecting your eyes. And if you have vision insurance or a flexible spending account, you can use your benefits towards prescription sunglasses too (even if you have a very small prescription) because sunglasses are really medical devices that are protecting your eyes and eyelid skin from cancer and degenerative conditions for years to come.